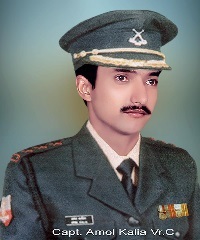 Captain Amol Kalia was born on 26 February 1974 in Nangal town in Rupnagar district of Punjab. His family originally hailed from Chintpurni, Una district of Himachal Pradesh. 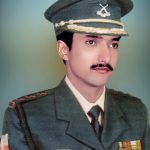 Capt Kalia did his schooling from Fertilizer Model School Nangal and passed the entrance exam of National Defense Academy in April 1994. He also passed the entrance exam of Engineering but decided to join the National Defense Academy to fulfill his dream of serving in the Army. Son of Shree Sat Pal Sharma and Shrimati Usha, Capt Kalia had a brother, Aman Kalia who was serving in the Air Force. 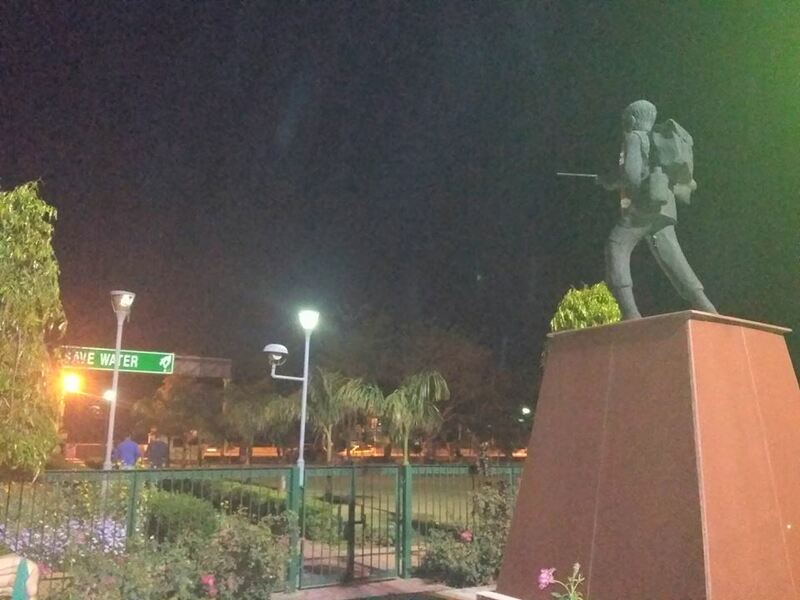 The army was not the tradition in Amol’s middle-class family, but he always had a passion for Army life and along with his brother, he inspired a whole generation of youth from Nangal to join the army and serve the nation. 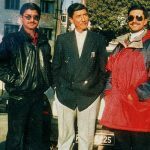 During the Kargil war in 1999 Captain Amol Kalia had been given the task to recapture the peak point 5203, which was at a height of 17000 feet in the Kargil-Yaldor region. It was a very dangerous mission and a strategically very important one, to gain control over the Batalik sector. A fierce battle followed with the enemy troops which lasted for about 24 hours. 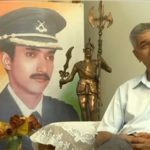 Capt Amol Kalia and his team of 13 men who were specialists in mountain warfare were air-dropped into the region the previous day. 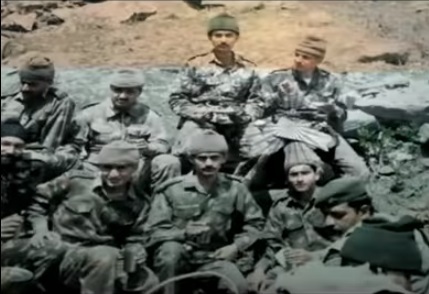 Since the infiltrators had covered most of the approaches by fire, the Indian troops, in the face of intense shooting and heavy odds, scaled the objective and reached the top employing specialized mountaineering techniques. They engaged the enemy at about 3 a.m. on June 8 but had been stopped in their advance by the enemy as it was very hard to spot anything owing to pitch darkness. The Pakistanis were well-entrenched and had made a number of field fortifications. 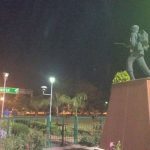 The enemy counter-attacked the position during the early hours of June 8 in which the light machine gun detachment personnel accompanying Capt Kalia were killed. 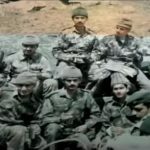 Capt Amol managed to take control of the Light Machine Gun(LMG)and killed three enemy soldiers and injured another three. But the numbers were against him and Capt Kalia was hit by a burst of bullets in the morning at about 9 a.m. Though he was grievously injured, he fought till the end till he succumbed to his injuries. The army suffered one of its heaviest casualties that day as Capt Amol and 12 other ranks were martyred. 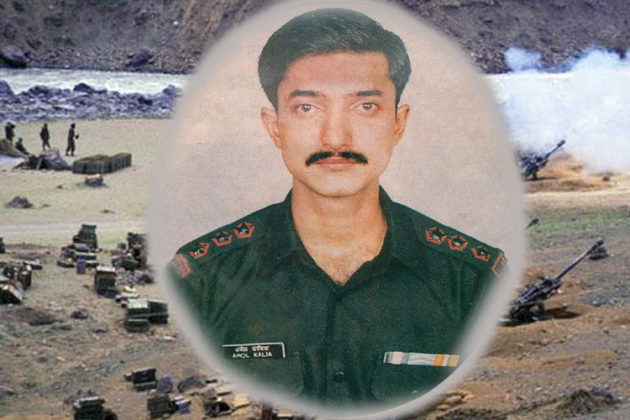 The recapture of a key position in the Batalik sector by Capt Amol Kalia and 12 of his men, was one of the bravest acts seen in the Kargil war. “Captain Sahib was a brave man who not only inspired his men but also led from the front. 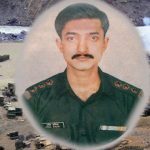 His men had been pinned down by heavy and accurate enemy fire but he did not lose heart, rallied around the remaining men and engaged the enemy,” said his comrade Havildar Sudesh Kumar. 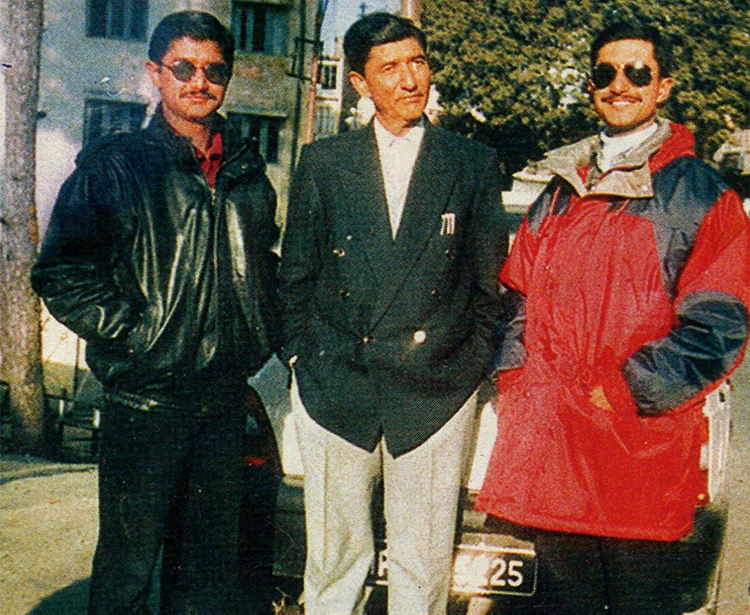 Capt Kalia’s body could not be retrieved for more than 12 days as the area was under direct shelling from enemy guns. It was only after the area was cleared of the infiltrators that the body was retrieved and handed over to his parents on June 20. 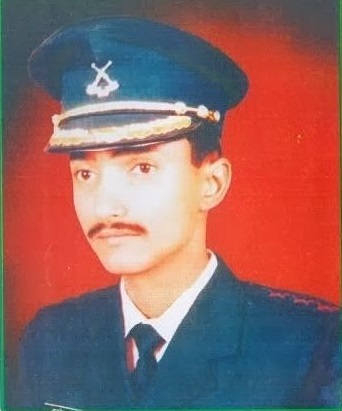 On 08 June 1999, during “Operation Vijay” Captain Amol Kalia along with his men were tasked to capture an enemy post at Point 5203 in the Batlik-Yaldor Sector at a height of 17,000 feet Leading from the front, Captain Kalia selected the least likely approach, which was tough and difficult He assaulted the enemy position with a handful of men and managed to capture the height against heavy volume of enemy artillery and small arms fire. Soon the enemy launched counter-attack supported with heavy volume of fire of artillery, universal machine guns and rocket-propelled guns from two different directions. Captain Kalia led his men from the front and held on to the position. In a hand to hand fight, which followed, his light machine gun crew was killed. 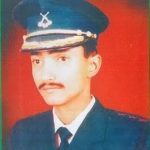 Captain Kalia took over the light machine gun himself and killed three enemy personnel and injured three others. 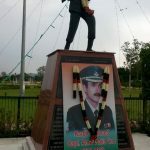 In the action he was hit by a burst of bullets and breathed his last on 09 June 1999, but not before the enemy was repulsed and the post reinforced by own troops. Captain Amol Kalia thus showed raw courage, dynamic leadership and devotion to duty with utter disregard to his own safety in the face of the enemy and made supreme sacrifice in the highest traditions of the Indian Army. 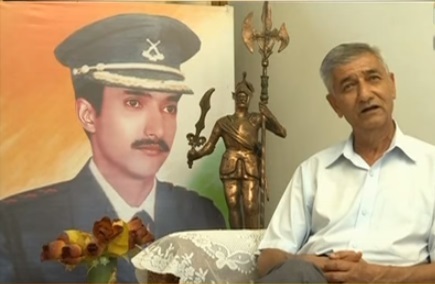 A school has been named after him and is called Capt Amol Kalia Memorial school. 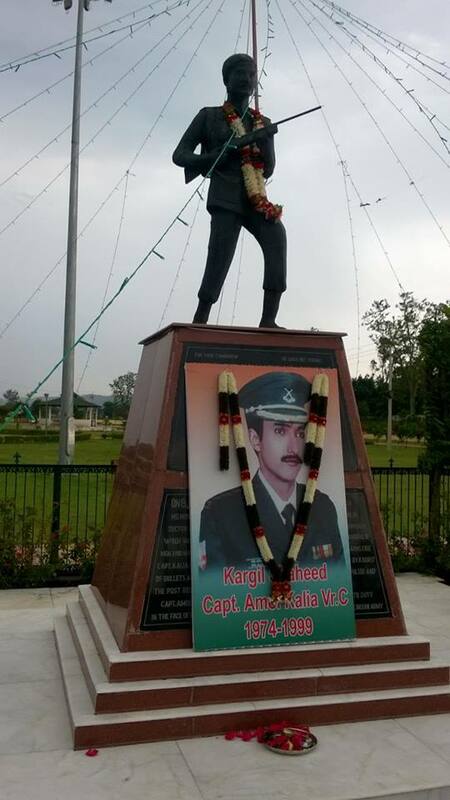 A park called Capt Amol Kalia park is situated in Nangal which has been named after him to honour the most respected son of Nangal. His story is epitome of bravery and patriotism . He is pores many like me . I hope one day I add to glory of my country ,my men and all Himachalis , and to the hall of fame of Major Somnath. 1P.V.C winner, Captain Vikram Batra , Major Dhan Singh Thapa and many other inspiring martyrs. I request all who read my comment to go through their war stories. You will now your heads. As I do.